Tagaytay – A Cool Getaway! We were supposed to leave early but Marlic got stuck in traffic. You know why? The people from Bourne Legacy were setting up their things in preparation for the movie’s shooting. Of course, it caused traffic jam! Duh… Rumor is that their permit was for Saturday but I think they got too excited and went with the preparation days ahead of time. John and I didn’t mind. We were at Pancake House for breakfast after all. 🙂 I feel bad for Marlic because she had to suffer for 2 hours at least. Terrible huh?! When Marlic arrived, we didn’t waste time anymore. But left hurriedly for Tagaytay. 🙂 We were nearing the toll gate when she told me to prepare my camera because there’s something interesting at the Coke plantation. She remembered my giant photo of the Silver Swan Soy Sauce during our Manila Roadtrip two years ago. 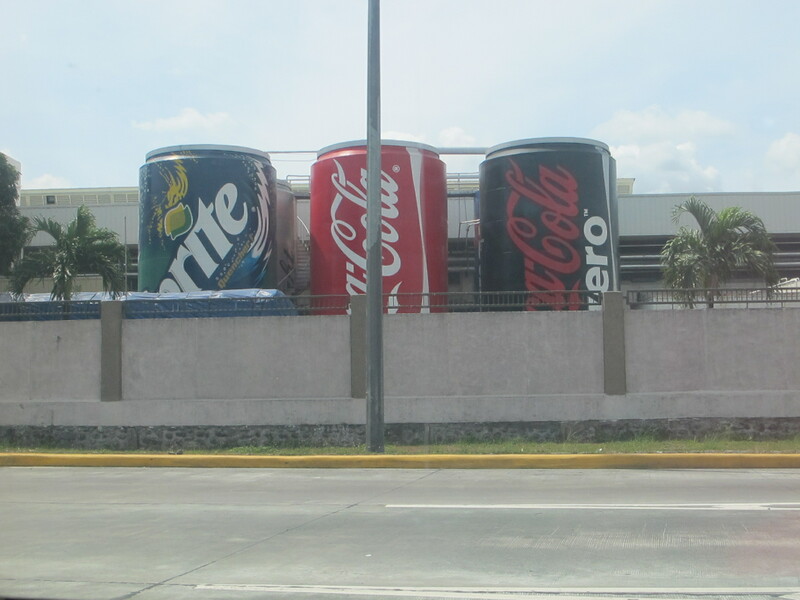 This time, I was able to take photos of the giant canned Coke and Sprite. They’re taller than the factory! When we reached Laguna, it felt like we entered a different world. The place seemed quieter and more peaceful. Plus having trees all around was like a breath of fresh air. We were staying in Makati area. So with the high rise buildings all around, it just felt crowded to me. This entry was posted in My Travels, Tagaytay and tagged Tagaytay. Bookmark the permalink.